The surroundings of Argentina are characterised by high biodiversity. It has four natural UNESCO World Heritage Sites. El Calafate and El Chalten, sitting right on the western-most edge of the Patagonian Steppe, are one of the most visited regions in Argentina. Lying at the very edge of the Southern Ice fields, the second largest ice shelf on the planet, the area is full of glaciers, icebergs and stunning nature. 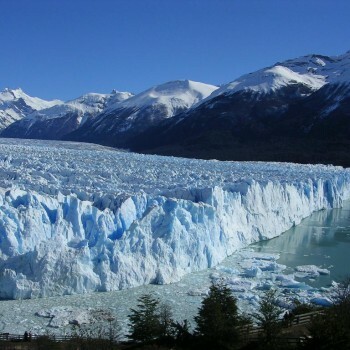 The Perito Moreno Glacier, just an hour’s drive from El Calafate is one of the last advancing glaciers left today. To the north, the citadel of the Fitzroy mount provides all sorts of great walking and outdoor opportunities. As the river Iguazu crosses, the border between Brazil , Argentina and Paraguay , it thunders over a series of around 275 separate falls and cataracts that, together, make up one of the most majestic sights in the world, the Iguazu Falls. A visit from the Argentine side allows much more interaction, with walkways set up over the top of many of the cascades and the chance to look down into the “devil’s throat” as millions of litres of water flood past! The normal itinerary for most heading to Iguazu is to spend a couple of days on the Argentinean side, getting wet and up personal, and then head over to the Brazilian side for the panorama and a few photo opportunities or vice versa. 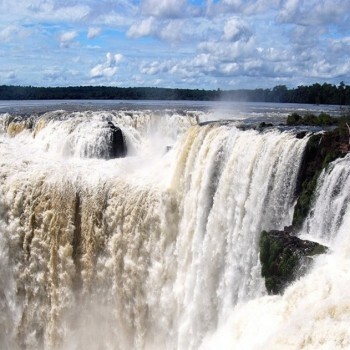 While the total area that the falls is not that large, it is worth bearing in mind that a trip to Iguazu will involve a fair amount of walking as you go up and down to get different perspectives. For those that are drawn by nature and a desire to be outdoor, then the region around Bariloche and the Nahuel Huapi National Park are your best bet. 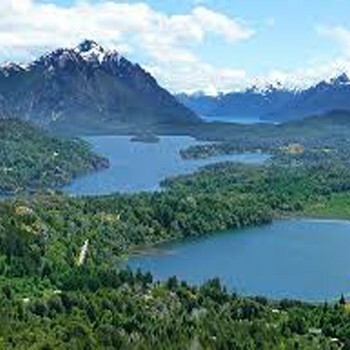 Certainly one of the most well liked areas in Argentina, this region is a cacophony of lakes, hills and forests. Punctuated with small and picturesque “Alpine” towns such as Villa la Angostura and San Martin de Los Andes. This entire region consists of some 20 odd lakes and valleys and is predominantly protected land and ski areas which has meant that most of the natural forestation and natural beauty has been retained. 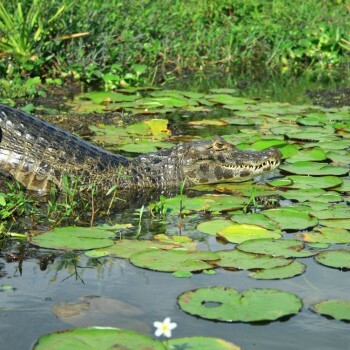 With the area spanning almost 15000 sq.kilometres, the Esteros del Ibera (Ibera wetlands) is the second largest freshwater wetland on the planet (next to the Pantanal in neighbouring Brazil), and Argentina’s largest protected area. Made up of a series of lakes, lagoons and marshland, the Esteros del Ibera wetlands are home for over 350 different bird species and some of South America’s most iconic wildlife such as the capybara and the caiman. Right up in the very north-western region of Argentina lie the provinces of Salta and Jujuy and some of the favourite sceneries. 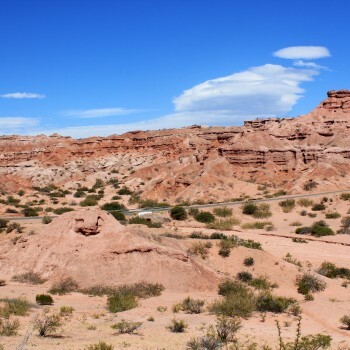 While a lot of this area is desolate and barren due to the altitude, the rock formations and general vistas are to be seen to be believed. Stark reds stand out against the deep azure sky, and adobe huts are swallowed by the sheer size of the place. Certainly one of the wildlife highlights of Argentina, the Peninsula Valdes offers the opportunity to see some of natures largest marine animals in their natural environment. 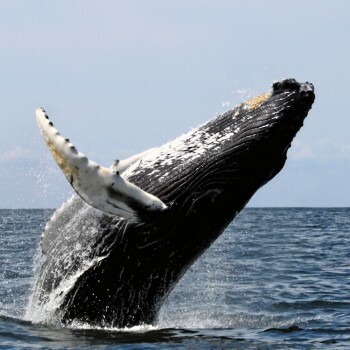 Probably the biggest attractions are the Southern Right Whales that come to take shelter in the natural bays on either side of the peninsula between June and November. There is, however, plenty more to see with a whole host of other animals such as elephant seals, Magellenic penguins and more.